Car keys made in Bethlehem PA is one of our most popular service. Everyone lost a car key, at least, one time in his life. Replacing a car key can be very frustrating experience, not to mention time consuming searching for a locksmith. Sometimes, the key wear down until it no longer operate the ignition cylinder, correctly. At some other times, it may bend or break inside the door lock or the ignition lock. But, we all agree about one thing, it’s not a pleasant situation. Losing a key late at night, or early morning before going to work can be extremely frustrating. The time you spend to find a locksmith who has a replacement to your car key. As well as dealing with your insurance company in order to get a reimbursed of your lost money. When you need local automotive locksmith, no matter the reason, and especially when you need auto keys replacement service, our automotive locksmith pros can help. Car keys made on site in the Lehigh Valley PA, becomes easy. In order to get the key code of your car, there are several verification methods of the owner of the car. However, by ordering the key code, we can save time, as well as money, while we make your car key. In general, ever car in the U.S has data file that includes part numbers, serial numbers, key code or other code such as pin code. A car dealer can retrieve a key code 10 years back, from the current year, but we can get key codes of older cars. For instance; we can get key code of Chrysler back to 1996 and GM back to 1988. A key code is a combination of letters and numbers that need to be translated in the computer in order to get the key cuts. Since we know the cuts of the keys, we’re able to cut a new key to your car. A mobile locksmith who makes car keys on site is a better choice than calling a dealer. Perhaps you ask yourself what is the difference? Well, the answer in three words is; “towing your car”. A dealer won’t come to your location to cut and program a car key on site, therefore, you have to tow your car to the dealer shop. That will cost you an additional $100. At the same time, dealer will charge you more than a local locksmith. Contrary to a car dealer, we come to your location, wherever your car parked at. We also program auto keys on site, so think about yourself waiting us while your car parked on your driveway. You can keep your routine at your home while we make your car key. One of the most common calls we get is car lock out service. When you have a spare car key, you can open your car without calling automotive locksmith. Think how much money you can save in the long run without calling a locksmith. When you have 2 keys to your car and you lose one of them, you can keep your daily plans and take care of it later. Typically, you avoid emergency incident while you stuck on the road. If you lost one of your keys and you call automotive locksmith, he can get the key cuts out of your spare car key. That could save you money of purchasing the key code of your car. When you’re on a trip, you better have a spare car key in your pocket. Think what could happen if you’ve lost your only car key on a trip? That could lead to a destruction of your vacation. 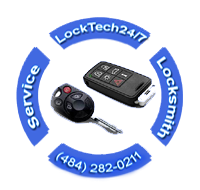 We’re 24-7 mobile locksmith company. Our locksmith specializes in automotive locksmith, commercial locksmith, and residential locksmith services.